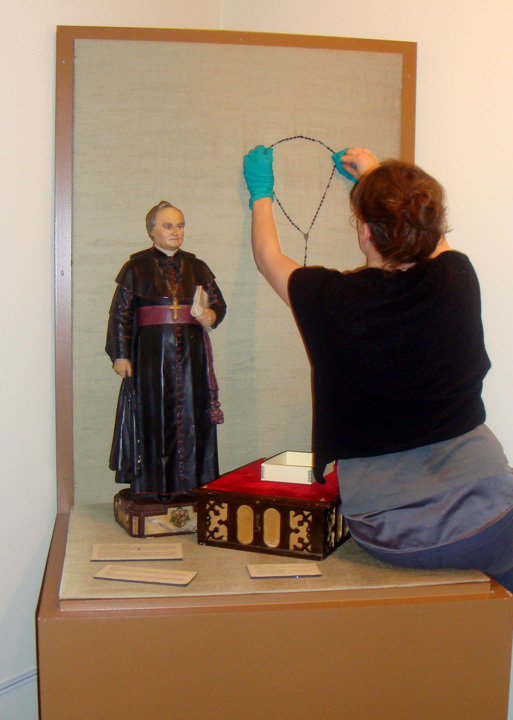 The curator has been working hard preparing an exhibit which will open tomorrow. The exhibit is entitled The Mission Makers and features Albert Lacombe, OMI and Alexandre Taché, OMI, two oblates who began the mission in St. Albert. We've included in this blog post some photos of the exhibit set-up. The exhibit opens Saturday June 11 and will be up until November 2011.